My husband and I have traveled in an RV for 30 years. I am now going it alone in a small Class C, "dipping my toe in the water" to see how I like it. I would love to have other RVers stop by for a night or two. I'm not far off I-95. 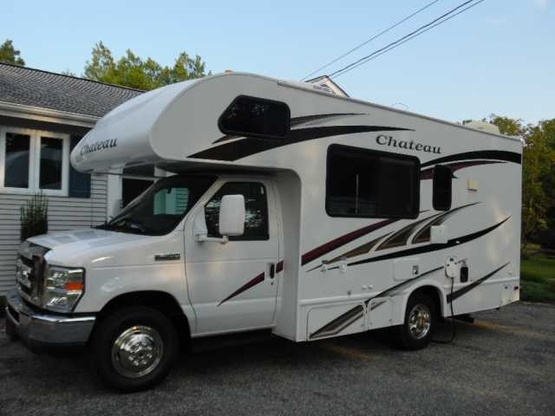 2011, 22'Chateau Class C I call "Miss Daisy"
We stayed with Weehoose for 2 nights, and we slept great! Weehoose was very friendly and accomodating, we had great conversation. There is plenty of space to park, either up near the house or way out back, all flat. There is a great rail trail very close by, and groceries, etcetera.